Humans have hankered after chocolate for centuries longer than previously thought, scientists said Monday, tracing the earliest known consumption of its key ingredient to more than 5,000 years ago in South America. Archaeologists have long believed that ancient civilisations in Central America started drinking concoctions of cacao — the bean-like seeds from which cocoa and chocolate are made — from around 3,900 years ago. The team found starch grains characteristic of cacao in around a third of items examined, including the charred residue of a ceramic receptacle dated to be 5,450 years old. That suggests that humans have been consuming cacao for roughly 1,500 years longer than previously thought, and locates its discovery in the upper Amazon region. “This is the oldest trace of cacao identified so far and it’s also the only archeological trace of the use of cacao discovered in South America,” Claire Lanaud, geneticist at the French Agricultural Research Centre for International Development and the study’s co-author, told AFP. “Since these ceramic vessels are found in ceremonial locations, including as offerings in tombs, it is likely that cacao was an important component of ritually significant drinks,” said Michael Blake, from the University of British Columbia’s Department of Anthropology. “There is a great deal of evidence that cacao was very important to peoples in northeast Peru, northwest Brazil and south Colombia and more,” he told reporters. Last week research by a US-based team found evidence that cacao trees have been cultivated by humans for at least 3,600 years. Blake said the findings of his team’s study — published in the journal Nature Ecology & Evolution — could be of use to botanists today trying to understand how cacao can adapt to our changing climate and receding rain forests. 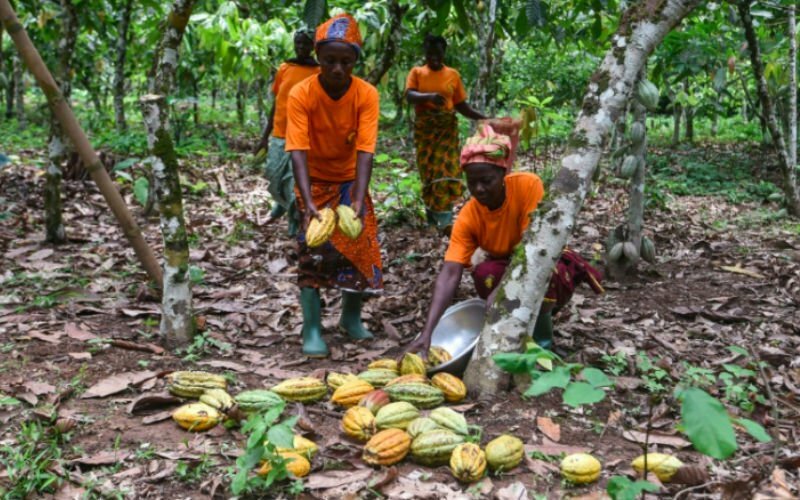 “As a major crop today, used by most of the world’s population for an enormous variety of purposes, cacao is of great interest to humanity,” he said.